tiny things are nice: What Joy! What Joy to open my email today and find this! 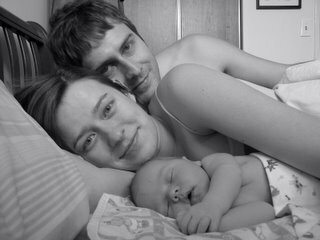 Our friends Etienne and Heidi have had their first baby! It is so wonderful. A 9 lb. Baby Boy. Congratulations! How Beautiful. out of all the tiny things, one of the nicest, are babies. 9 lbs -- maybe isn't so tiny but very nice.